Meanwhile, prepare the Hipcooks-style salsa verde. Chop the parsley, place in a bowl. Add the garlic, lemon, capers and most of the scallions. 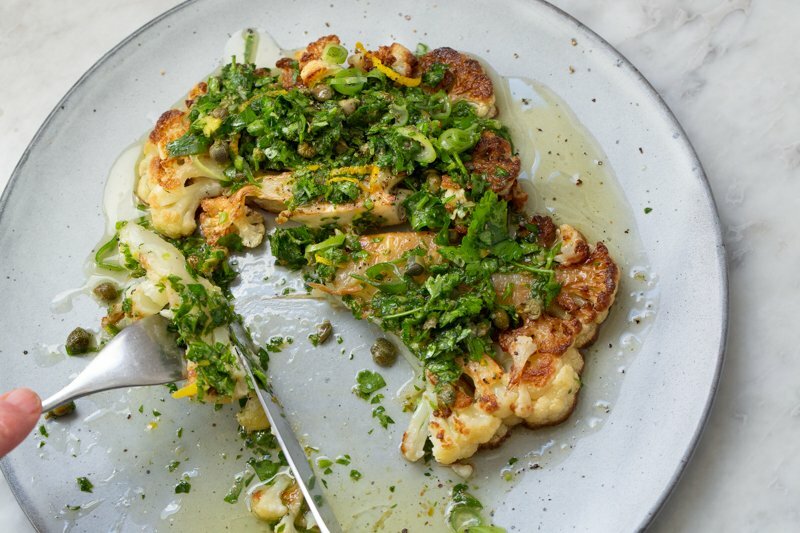 Season with salt and pepper and drizzle with enough olive oil to make a spoonable sauce. 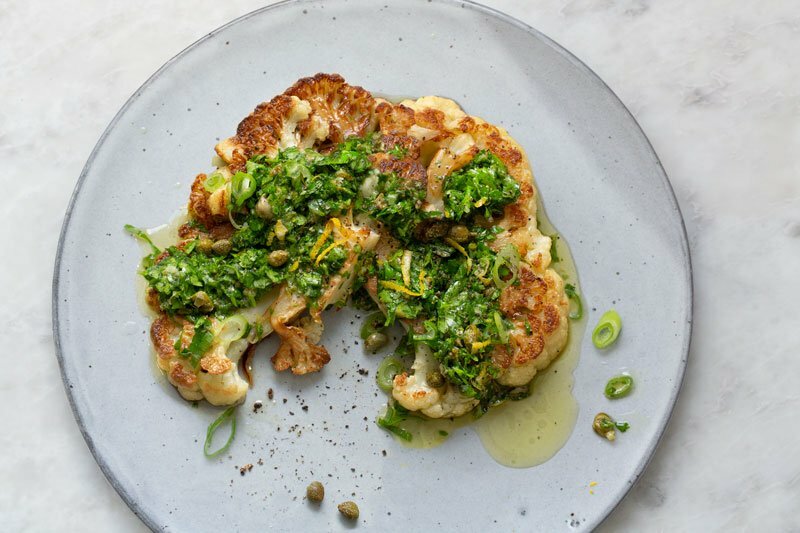 Serve the cauliflower with the sauce on top. We like to decorate the plate with some of the reserved scallions and capers, an extra twirl of black pepper and a few lemon curls.